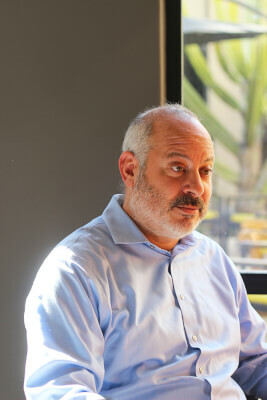 President Jonathan Veitch formed the Budget Strategic Advisory Committee (BSAC) in 2012 to help create Occidental’s current strategic financial plan, according to Amos Himmelstein, chief financial officer and co-chair of BSAC. BSAC is a multi-constituent financial advisory group that aims to discuss the larger financial issues of the college as they pertain to planning and budget, according to Himmelstein. Brandon Lehr, economics professor, BSAC member, chair of the Faculty Council’s Subcommittee on Finance (SCOF) and the faculty representative on the board of trustees’ Budget and Finance Committee, described BSAC as an opportunity for students, administrators and faculty to discuss larger budget concerns. BSAC meets once a month and is co-chaired by Himmelstein and Wendy Sternberg, dean of the college and VP for academic affairs. 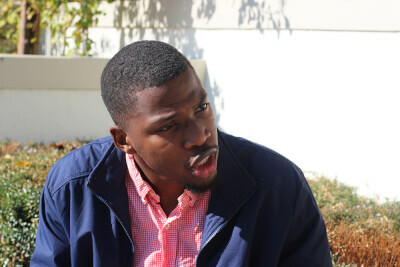 Jacques Lesure (senior), Associated Students of Occidental College (ASOC) Senate president, said that BSAC has provided the student body with a look into the inner financial workings of the college. Currently, Lesure and Micol Garinkol (senior), vice president of financial affairs for Senate, serve as this year’s student representatives. According to Himmelstein, the budget is a balancing act of revenue and expenses. Occidental’s endowment income is 15 percent of the school’s total revenue, according to the 2017 Annual Report. In an Oct. 22 presentation to Senate, Himmelstein said enrollment — including tuition, room and board, and fees — brought in 77 percent of the school’s income. In total, Occidental’s revenues were $124 million this year, according to the schools audited financial statements. In Himmelstein’s presentation to Senate, he explained some of the school’s financial statistics. In 2018, the school’s total expenditures were $122 million, 62 percent of which went to paying personnel. Twenty-seven percent went to other expenses such as electricity, food and other utilities, while four percent went to facilities. Seventy-three percent of Occidental’s students are on financial aid, with an average award of $44,000 — Occidental meets 100 percent of need-based financial aid and spent $46 million in scholarships this year. According to Himmelstein, the committee has discussed the importance of increasing student involvement in the community, manifesting in events such as the talking circle hosted by Garinkol and Treasurer of the Diversity and Equity (DEB) Emily Jiang Nov 2. Eager students like Sam Berger (first year) are the target of such community outreach. Berger said he would be interested in joining a student panel to discuss the finances of the school, but was not aware of any such meetings. Lesure said he would like to increase the ways in which students can express themselves about the finances of the school. Berger said student contribution to the committee is extremely valuable, as students are the ones who are most affected by the budget. Both Lehr and Himmelstein said they appreciated the student input on the committee this year. This article was revised Dec. 22, 2018 at 9:40 p.m. to correct professor Brandon Lehr’s positions on the Faculty Council’s Subcommittee on Finance (SCOF) and the board of trustees’ Budget and Finance Committee, as well as to remove a quote incorrectly attributed to Lehr.